Deaf Legal Advocacy Worldwide is committed to supporting deaf leaders around the world who want to go to law school and become stronger advocates for the rights of deaf people. Read below to learn about what our scholarship program has accomplished over the years. Vianney Sierralta is the first recipient of the D-LAW Scholarship. Vianney lives in Chile where she recently completed her fourth of five years of law school. Vianney is already putting her legal education to work. She has produced a series of legal education videos in Chilean Sign Language so that deaf Chileans understand their legal rights. She is working on a project on communication access in health care so that deaf Chileans can communicate with their doctors about their health care and make informed medical decisions. Vianney goes to law school at an opportune time. In 2008, Chile signed the United Nations Convention on the Rights of People with Disabilities. In 2010, Chile amended its disability laws but did so without the full inclusion of deaf people in the political process. As a result, Chilean law still does not guarantee deaf people full and equal access in society. Deaf people still face barriers in education, employment, and health care. There are currently no deaf lawyers in Chile. When Vianney graduates from law school in 2017, she will become the first deaf lawyer in Chile. She will work with deaf leaders to push for new laws and regulations that result in the fuller inclusion of deaf people in society. She will also represent individual deaf clients who experienced discrimination on the basis of their disability. “My dream is to become a lawyer to fulfill my commitment to keep fighting for the rights of Deaf people in Chile and overcome discrimination,” Vianney said. “Vianney has been a very good student – very hard-working, dedicated, and responsible,” said Franklin Muñoz, professor of law at Universidad de Aconcagua. Your donation will help us continue to support deaf leaders like Vianney who dream of going to law school so they can advocate for the human rights of deaf people. Shukuru Kubaburhanzi Debby, who goes by the name Debby, hails from Goma in the Democratic Republic of Congo. Debby is a D-LAW Fellow studying law at Université Protestante au Congo. He began his studies in 2017 and expects to graduate in 2020. Debby has a master’s degree in community development from the Institut Supérieur de Développement Rural des Grands Lacs in Goma. In his hometown Goma, Debby was the executive director of Deaf Association in the North Kivu. He directed the professional training program at the Ephphatha Center of the Deaf. He was also an officer for the Africa Contact Group for Mental Health and Deafness in Central Africa. In 2017, Debby was a fellow in the U.S. Department of State’s Young African Leaders Initiative (YALI) program through which he took leadership courses at Gallaudet University and Arizona State University. Debby aspires to become a deaf lawyer who serves not only the deaf community in the Democratic Republic of Congo but also throughout Africa. Juventus Duorinaah is a D-LAW fellow studying at the University of Ghana located in Accra, Ghana. He started his law school studies in 2018 and expects to graduate in 2021. Juventus is the Director of the Ghana National Association of the Deaf. He oversees the implementation of various advocacy projects that target the inclusion of Deaf Ghanaians in mainstream society. He works with members of the Deaf community to achieve better quality of rights for the Deaf community in Ghana. Juventus wants to become a lawyer so that he can push for stronger protection of the legal rights of deaf people in Ghana. Muhammad Andika Panji and Andi Kasri Unru are D-LAW Fellows attending law school at Universitas Esa Unggul in Jakarta, Indonesia. They began their studies in 2017 and expect to graduate in 2021. Panji is from Jakarta. He works with Gerkatin Kepemudaan, an organization by and for young deaf Indonesians working to educate and empower young deaf people throughout Indonesia. Andi, who goes by the name Akas, is from Soppeng, near Makassar on the island Sulawesi. Akas is an advocate who is part of multiple disability advocacy networks including Gerkatin, the national association for deaf Indonesians, and PERDIK, a cross-disability coalition that advocates for disability inclusion in Sulawesi. Dr. Wasis Susetio, the Dean of the Law Faculty, added, “We are proud to welcome Panji and Andi as law students” at Universitas Esa Unggul. Panji and Akas are attending law school at an exciting time for disability advocacy in Indonesia. In 2011, Indonesia ratified the United Nations on the Convention on the Rights of Persons with Disabilities (CRPD). In 2016, Indonesia enacted a new disability law based on the CRPD. Now, the government is drafting regulations to implement the new disability law. Panji and Akas are working with deaf organizations to advocate for strong regulations. Panji and Akas expect to graduate in 2021 and embark on a career advocating for the inclusion of deaf people in Indonesia. 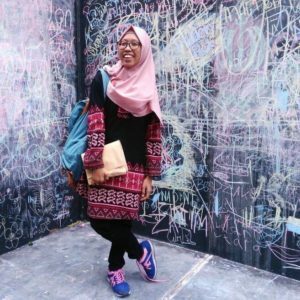 Isro Ayu Permata Sari is a D-LAW fellow at Sekolah Tinggi Hukum Indonesia Jentera in Jakarta, Indonesia. She started her studies in 2018 and expects to graduate in 2022. Prior to law school, Isro worked with the Tanggerang chapter of Gerkatin, Indonesia’s national association for the deaf. She was the secretary and worked on deaf youth projects. Isro wants to be a lawyer to protect and advocate for deaf rights in the sectors of employment, education, health, and society. She is particularly interested in advocating for Deaf people who have been victims of sexual abuse. Isro wants to become a lawyer at a time when Indonesia just enacted a disability law recognizing the human rights of people with disabilities. 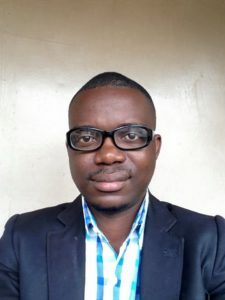 Dumi Propshen Okiemute is a D-LAW Fellow studying at Nigerian Law School in Lagos, Nigeria. She began her studies in 2017 and expects to graduate in 2018. Dumi is from Nigeria’s Delta State. She is the author of “The Right To Fair Hearing Under the 1999 Constitution Of The Federal Republic of Nigeria and The Role Of The Sign Language Interpreter,” which recommended that the Nigerian government to create a body to certify all sign language interpreters before they work in court. 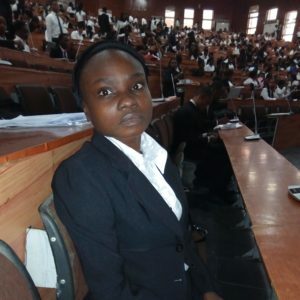 Dumi continues to campaign for accurate sign language interpretation for all Nigerians to prevent situations that could become what she calls a “miscarriage of justice.” Dumi also wants to use her law degree to ensure that Nigeria’s law enforcement agencies communicate effectively with deaf Nigerians. Dumi graduated from Nigeria’s University of Ibadan where she studied law. Before attending the University of Ibadan, she graduated from Andrew Foster Memorial College in Christian Mission for the Deaf – Nigeria. Dumi is also a member of the Deaf Women’s Association of Nigeria and her local deaf church. Karin Janett Quijada Lovaton is a DLAW fellow attending law school at Universidad Peruana de Ciencias Aplicadas in Lima, Peru. She began law school in 2019 and expects to graduate in 2024. Prior to starting law school, Karin earned a master’s degree in education from Universidad Nacional Mayor de San Marcos. She worked for a government agency providing support services to deaf individuals in Peruvian Sign Language. Karin has been actively involved in the deaf community in Peru. She co-founded the Lima Deaf Association and worked for the fuller inclusion of deaf people in society, including greater access to health care, education, and employment. 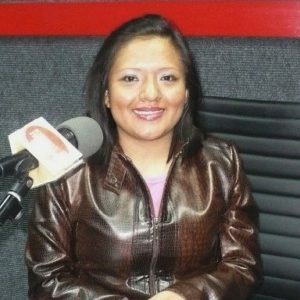 She has collaborated with national deaf associations in advocating for the legal recognition of Peruvian Sign Language. Karin aspires to use her law degree to eradicate discrimination against deaf individuals and advocate for deaf people to have the same opportunities as individuals without a disability. She also plans to use her law degree to advocate for the promotion of Peruvian Sign Language as a human right and means for the full inclusion of deaf people in Peruvian society. 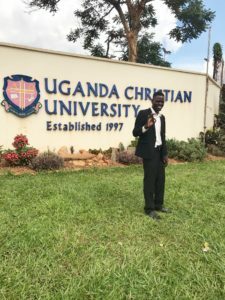 Egwelu Timothy stands outside Uganda Christian University where he began his law studies in 2017. 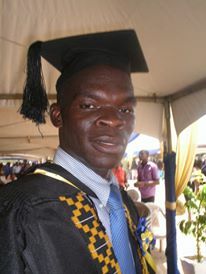 Egwelu Timothy is a D-LAW Fellow attending law school at Uganda Christian University in Mukono, Uganda. He began his law studies in 2017 and expects to graduate in 2021. Timothy is a committed deaf activist with the Uganda Association of the Deaf Youth Section and the Forum for Deaf Rights Advocates. He is also a member of the Kampala Deaf Youth Peer Educators Club that works to educate deaf people about health, sexually transmitted diseases, and the human rights of deaf people. Previously, he co-founded the Entebbe Deaf Association to undertake development projects and raise awareness about deaf people in his hometown of Entebbe. Timothy is returning to university to obtain a law degree. Previously, he earned a degree in engineering from Kyambogo University where he founded an organization to advocate for the rights of deaf students attending the university. Timothy wants to become a lawyer to advocate for the enactment and enforcement of laws recognizing the rights of deaf people and respecting the dignity of deaf people. Chubili Moses is a D-LAW fellow studying at Zambian Open University. He started law school in 2019. He expects to graduate in 2023. Prior to attending law school, Moses earned a degree in special education from the University of Zambia and taught at a school for students with disabilities. He is actively involved in the deaf community, serving as the Secretary General for the Zambia Deaf Society. 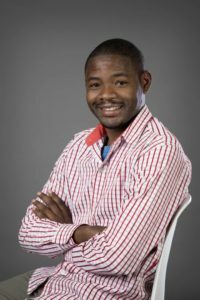 He has researched and written about the incorporation of the United Nations Convention on the Rights of Persons with Disabilities (CRPD) in Zambia and making education in Zambia more accessible to deaf individuals. In 2018, Moses was selected as an Obama Foundation Fellow. Moses will use his law degree to help deaf Zambians advocate for fuller inclusion in society.